Caramelicious lives up to its delicious name. It tastes like caramel and vanilla topped with honey. Drawn in, its sweet creamy smoke entices the mouth and enlivens the senses. Its scent is matched by energizing effects that uplift users and enhance the mood. Maple Leaf influences the quality of Caramelicious. 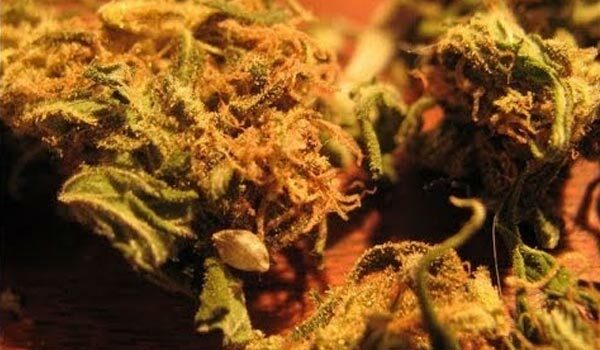 Although it is predominantly Indica, it maintains a happy head high that has users giggling for hours. Meanwhile, the addition of Afghan Kush cemented its offspring’s ease of growth as it hardened its stalks and branches. In spite of its strong Sativa influence, as well as impressive wake-and-bake high, Caramelicious can also be used at night. In enough doses, its relaxing body high can turn into a sedating buzz that aids users in sleep. Users must tread carefully though. In spite of its cutesy name and gentle cerebral effects, Caramelicious is still an immensely potent strain. At up to 20% THC, going overboard can turn the pleasant high into an overwhelming experience. A bag of Caramelicious is enough to fill a room with the sweet scent of hardened candy. Its pungency intensifies once the buds are either broken apart or crushed. Drawn in, its fumes coat the palate taste of caramel accentuated by a hint of vanilla. The smoke is smooth too, filling the mouth and lungs with a creamy consistency and a honeyed aftertaste on the exhale. 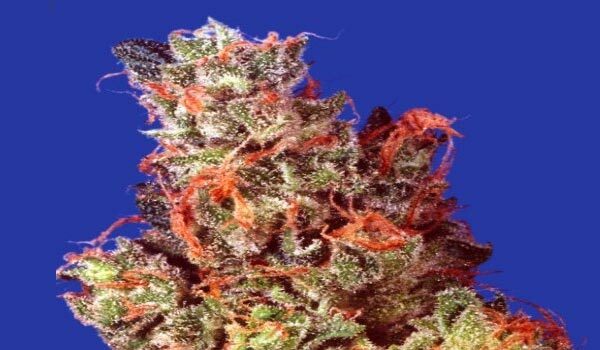 Caramelicious attracts enthusiasts that have a penchant for Indica-dominant strains with long-lasting cerebral effects instead of a heavy-hitting high. Its onset, for example, is marked largely by an uplifting buzz that spreads throughout the mind and leaves users feeling happy from within. The behavioral change it brings is immediately visible. Users smile from ear to ear as rush of euphoria continues to intensify the initial mood boost. As it spreads, a burst of energy surges throughout the muscles. It invigorates users and renews motivation, inspiring a conscious effort to complete tasks and look over projects with a fresh perspective. After about an hour, the once intense charge of energy tapers down. It mellows out into a light pressure that continues to ebb down from the temples and spread all over the body. However, only this time, it unties knots in the muscles and soothes away tension so users can fully relax while working enjoyably. Dry eyes and a cottonmouth are two common side effects of smoking marijuana. At times, it is accompanied by a subtle feeling of dizziness that usually intensifies one smokes beyond individual tolerance. Although unavoidable, it can be easily managed by staying hydrated throughout the day. Avoiding alcohol and caffeine is also recommended as both can exacerbate the adverse reactions. Although paranoia is mostly associated with Sativa-leaning strains, Caramelicious can still induce the same effect with its potent levels of THC. Apart from developing a keen awareness toward one’s surroundings, users may also experience a temporary headache as the heavy-hitting buzz hits. While these effects last only for a few hours, it is still best to use the strain with caution. Presumably, Caramelicious is a recreational strain. After all, it does delivers a mood-uplifting buzz which lasts throughout the day. However, the same happy high also relieves stress by calming users who harbor an overwhelming dread or feeling of anxiety from either work or life itself. Meanwhile, it acts as an anti-depressant that manages symptoms of mental health issues like depression or PTSD. At enough concentrations, THC turns into a natural painkiller that relieves a myriad of pains and aches in the body. Among its best uses, in fact, is appeasing any turbulence in the stomach that could lead to vomit. For this reason, it is a source of comfort to cancer patients undergoing the nauseating effects of chemotherapy. The mental and physical relaxation is mellow but enough to soothe users into a state of tranquility. While some may take advantage of the soothing buzz to finish any task left for the day, most often prefer to laze around the couch until drowsiness sets in. Eventually, one travels to the land of dreams as the eyes close. Caramelicious is a great beginner’s grow. It is not a tall plant and rarely requires a large space to thrive. Its short stature also means that it rarely needs to be topped early, a method that first-time growers often have problems with. Still, it is encouraged for an even canopy. Indoors, growers must ensure that the environment is well ventilated. This is because its compact and branchy structure will likely harbor moisture that can turn into mold or mildew in between its crevices. Regular pruning will also help circulate light and air around the lower nodes to help it dry. Removing dead branches and leaves also benefits the plant in nutrient distribution. Growers can also choose between different types of mediums such as soil or hydroponics. While the former enhances flavors, it is the latter that hastens the flowering period and almost doubles yields. Still, one can achieve the same by utilizing the Screen of Green method which requires placing plants closer to each other. 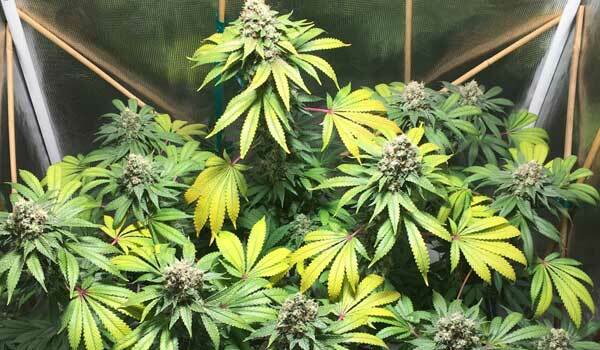 Within 8 to 9 weeks, the plant will produce at least 450 grams of buds per square meter. Because of the herb’s propensity for a cool and temperate climate, Caramelicious adapts well to the colder climate of the northern temperature. Although, a temporary enclosing will have to be used during harsh weather where frost might kill the plant. Flowers usually begin to bloom by the last week of September to first week of October and produce up to 550 grams of buds per plant. Have you grown or used the Caramelicious strain? If not, would you like to get your hands on this strain? Please leave a comment to let us know what you think. We want to hear from you.